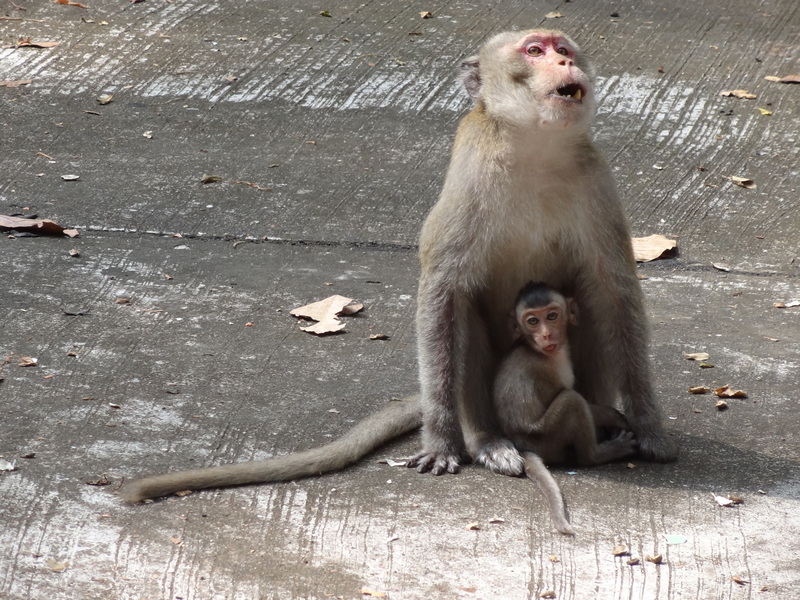 I watched an infant long-tailed macaque in Don Chao Poo Forest recently behaving in a way that I had not seen before. When you look at the first few photos I took you may not notice anything strange. I didn’t. The infant is seeking shelter and finding it. 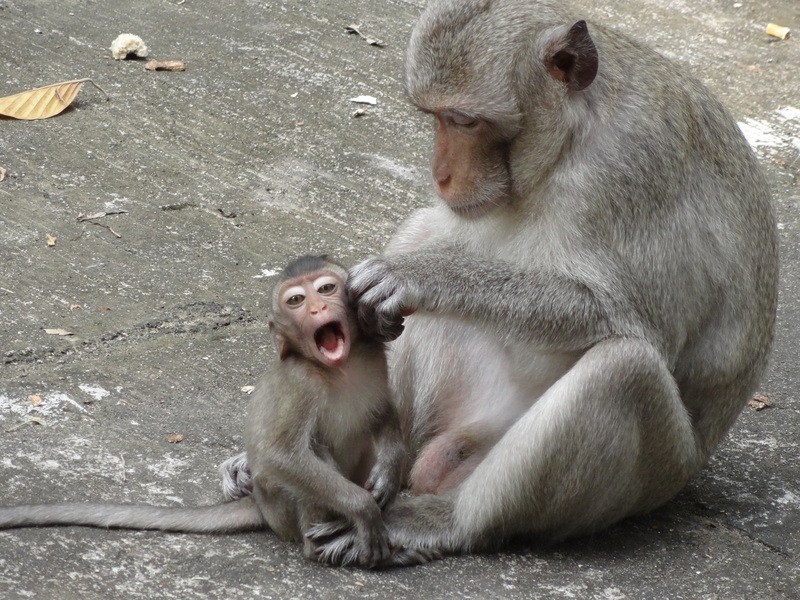 Both monkeys seem very comfortable with the situation. 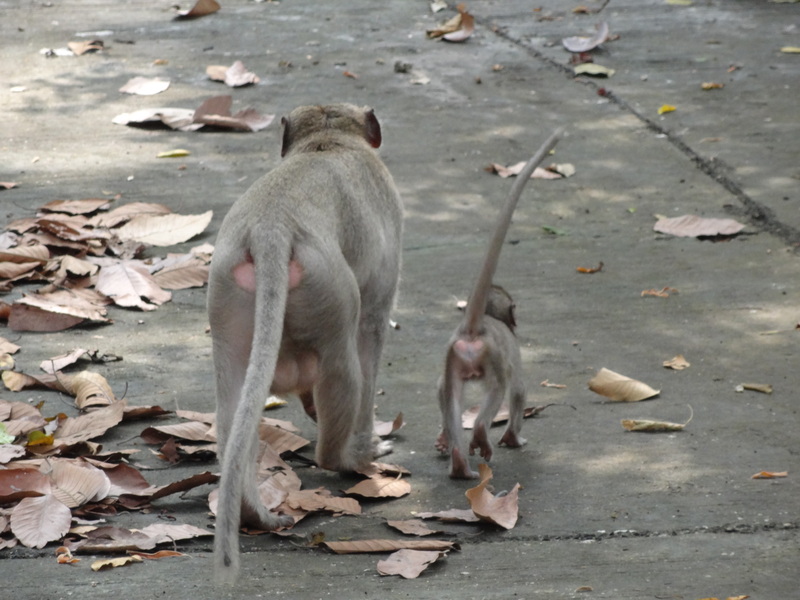 However, after a few minutes, the adult monkey got up and walked away. 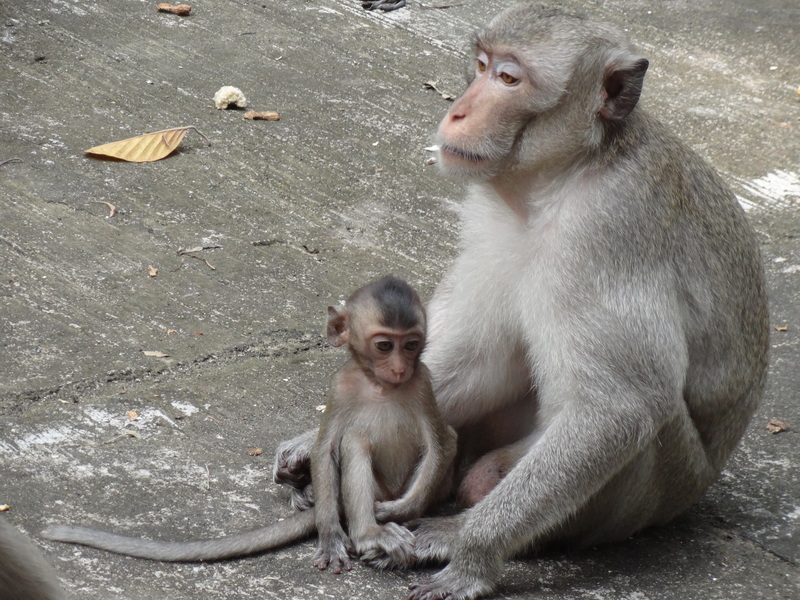 The infant sought out another adult and the two of them stayed together for some time. went along too. Look closely and you can see from the next photo what was unusual about this encounter (and the same was true for the first, though I don’t have the photographic evidence for this). 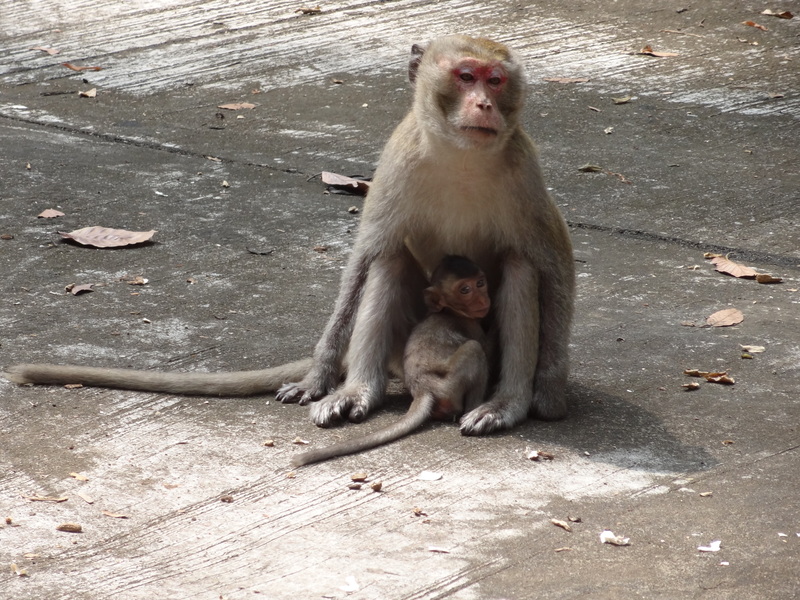 This infant had been taken care of by two adult males. There were two things unusual in my experience about this. Firstly, at least one of these males obviously could not have been the father. 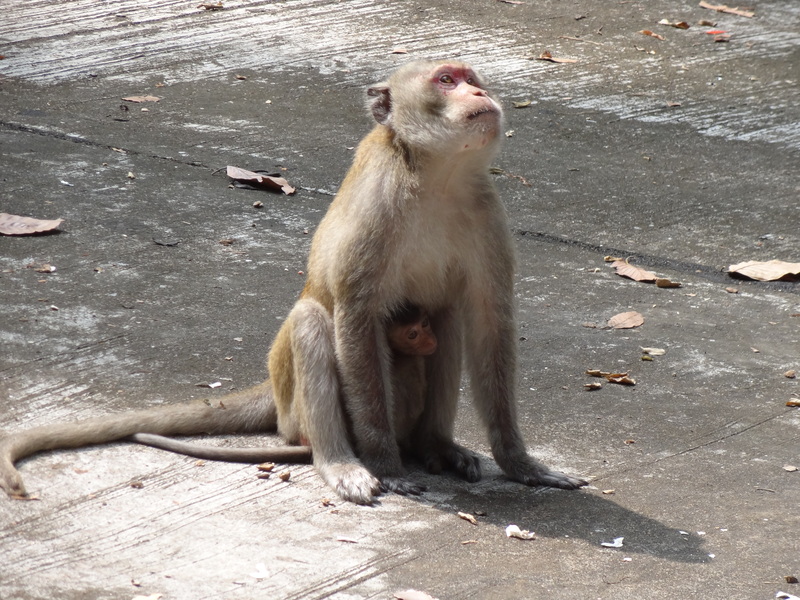 And secondly, there was no sign of a female looking out for the infant, or being protective of it, or being aggressive towards either of the males. I could only assume that this infant had lost its mother or been abandoned by her. 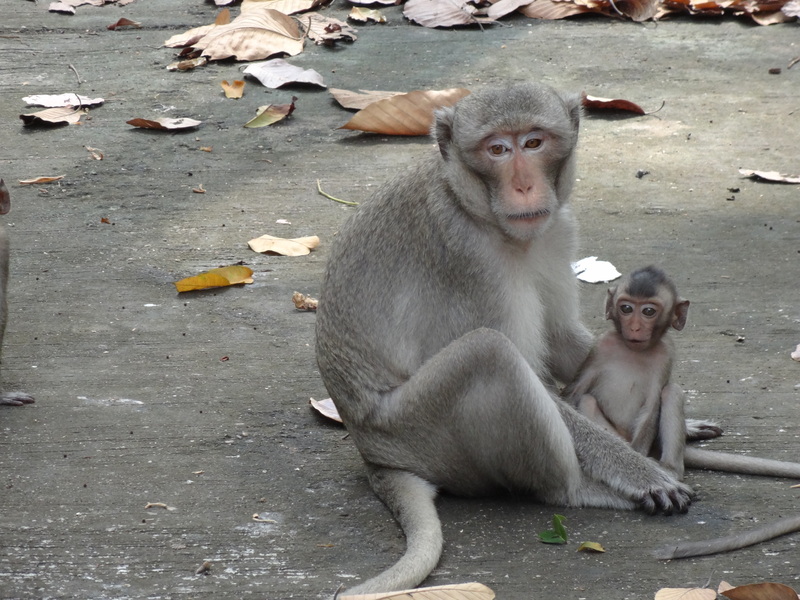 This entry was posted in Long-tailed Macaques, Macaca Fascicularis, Macaques, monkey forest, Monkeys and tagged Don Chao Poo, Isaan, Isan, Long-tailed Macaques, Macaca Fascicularis, Macaques, Thai monkeys. Bookmark the permalink.